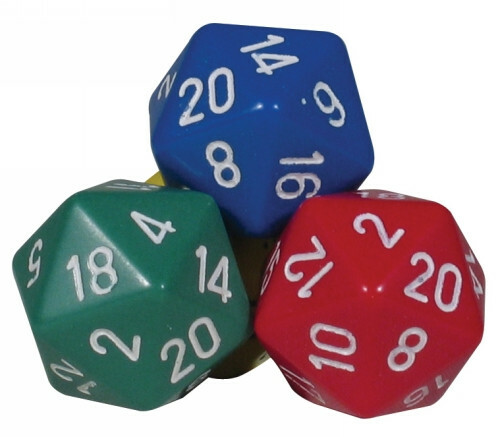 These 20-sided dice are 16mm and come in assorted colours in a set of 10 pieces. "Fantastic product. Great colours. "